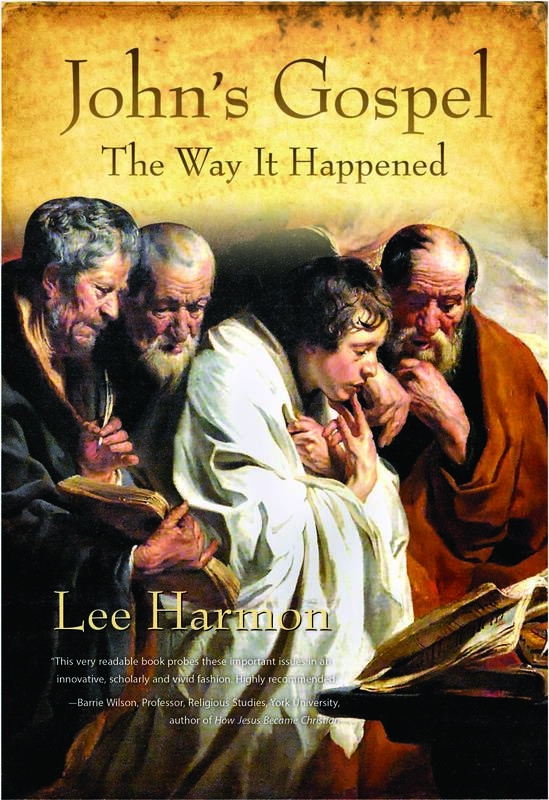 “Lee Harmon’s REVELATION: THE WAY IT HAPPENED represents an important contribution to our understanding of the mysterious Book of Revelation and early Christianity. He interprets it against the backdrop of the Jewish War in the late 60’s A.D. that saw the destruction of the Temple and a huge number of Jewish deaths. John, the author of the book of Revelation, uses Josephus’ monumental account in The Jewish War. Harmon astutely observes that Christians of the time, like the Jewish people, had to reflect on what this “war to end all wars” meant for understanding history and the coming messianic kingdom. The Book of Revelation, Harmon contends, provides just this reflection, noting what has already taken place, what is currently happening and what is likely to transpire in the future. All this Harmon carefully decodes in a well argued historical manner. The author’s style is clear, lucid and interesting. His dialogue between father and son allows Harmon to explore alternate interpretations for this intriguing text. It is a challenging read — not because of Harmon’s style — but because of the tantalizing symbolism the Book of Revelation itself uses drawing as it does on Jewish apocalyptic imagery derived from the Book of Daniel, Zechariah and especially Ezekiel. –Barrie Wilson, Professor, Humanities and Religious Studies, York University, Toronto, author of How Jesus Became Christian. humility. But the book goes beyond that with a fictional story about the gospel’s creation, which helps the reader experience John’s gospel as well as better understand the historical context within which the gospel was written. It’s an ambitious task, and a rare achievement. I highly recommend the book to you. “If you are a Christian who loves the Bible, wouldn’t you want to know how the words of the New Testament books were heard by the ears of their earliest listeners, for whom they were written? That is the purpose for which Lee Harmon wrote his book Revelation: The Way it Happened. In my opinion Mr. Harmon succeeds in reaching this goal. He is historically accurate and true to his faith. 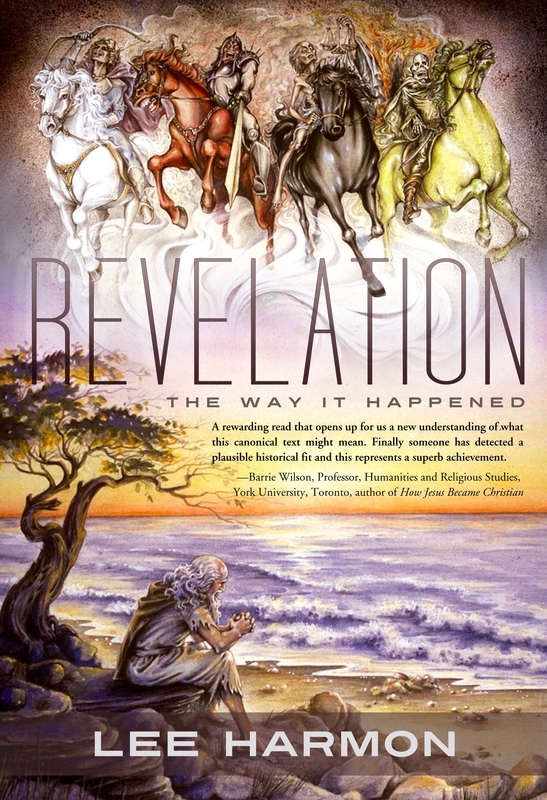 Revelation: The Way it Happened is history written as a novel, focusing on a First Century Judeo-Christian and his conversations with his son, upon the first publication of the Book of Revelation. The conversational tactic is sometimes didactic, but for the most part quite engaging. Its main strength is that it gives the author freedom to explore the psychology of the first recipients of this intriguing New Testament book, and to examine how they would have reacted to the words of Revelation based upon their immediate historical experience. If I may fancy myself to have some knowledge of religion amongst First Century Jews and early Christians, then in my judgment every historical supposition of Mr. Harmon is within the realm of genuine possibility according to the best scholarship. Not once in the entire book did I jump out of my seat and shout, “No, that could not be!”, and I was ready to do it. As Mr. Harmon humbly admits, there are many questions about Revelation, its setting and meaning that can never be answered with absolute authority, and sometimes my personal best guess might differ, but Mr. Harmon’s historical work is guided by knowledge and keen insight. The major point that cannot be denied is that people are most concerned with issues that arise in their own experience. For a Christian of Jewish origins in the late First Century, this means dealing with the Roman destruction of the Jerusalem Temple, the reign of the Emperor Nero, and the eruption of Mt. Vesuvius. An early Christian would interpret the meaning of Jesus’ death on the cross in the light of these events. Mr. Harmon’s great strength is in associating these events with the words of the Book of Revelation. Thus, Revelation is revealed to be neither a book of crazy mystical nonsense nor an uncanny prediction of events in the distant future, but an immediate and touching response to issues of the day for early Christians. Only when one has come to this understanding can one make meaningful interpretations of the Book of Revelation for today. I have always felt that Revelation is a Jewish book in its style and symbolism, though obviously written by a believing Christian. Mr. Harmon explains how this mixture could come to be, in a time when the lines of distinction between Jews and Christians, and between Gentile Christians and Jewish Christians, were not yet clearly drawn. A well researched and thoughtful read that definitely should not be overlooked. The book of Revelation causes a rift with some Biblical scholars. 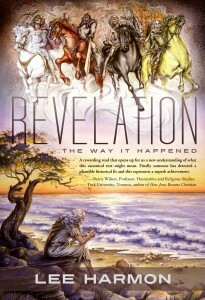 “Revelation: The Way it Happened” is a novel on the writings of the John of Revelations, writing in the first century AD, looking to provide insight into the lives of the earliest Christians and what mattered to them in a world that shunned them and the principles that Christians most held dear. Drawing on history and Revelations alike, “Revelations” is a well researched and thoughtful read that definitely should not be overlooked. Biblical interpretation is like ‘Son et lumière’, where a story is told by the use of lights that alternately shine on different parts of prepared structures or a building. What is revealed depends on the direction or color of the light. So a scripture text will look different if it is regarded as poetic symbol, or parable, or midrash, or meditation to accompany a liturgy. Each light will ‘illuminate’ the spectator in a different way. Lee Harmon shines a human light on the work traditonally styled ‘The Gospel of John’. He uses his imagination to remind us that real people in a real live situation produced the work. As he has done before in his work on Revelation, Lee intertwines fiction, like writing a novel, with his commentary on the text. This makes the study of the scripture more accessible, intriguing. He imagines a small team of three engaging in the work and discussing the theology and implications of the stories as they go along. These people have a dual culture. They are aware of their Jewish heritage and that of the pagan world in which they live. A woman is on the team, acting as scribe. The reliance on the scribe goes some way to addressing the issue of style, as it does in the case of Paul’s letters. The role of women in the early Church was far from a passive one, a fact blotted out by two centuries of Biblical scholarship by males. Lee’s technique highlights the great differences of emphasis and prejudices that existed among the first Christians, often missed through superficial readings of the texts. The other light that Lee shines is the Book of Revelation. Lee accepts the view of a ‘Johannine’ corpus of books among the Christian scriptures. So what we find in Revelation can illuminate what we read in the gospel. Thus we can add another guess at the mystery of Nathanael and the fig tree! Lee is ambivalent on the accuracy of John. He rejects John’s impression that Jesus had a 3-year ministry rather than the 1 year suggested by Mark, but recognizes that John’s knowledge of topography is better than Mark’s. Lee keeps us on our toes, prompting us to join in the conversation with, “Yes but..” This is not a dogmatic, ‘take it or leave it’ commentary. It is doubtful whether anyone will think by reading Lee Harmon that at last the key to John’s Gospel has been found. This is never going to happen. Like all great literature the gospel has deep upon deep. 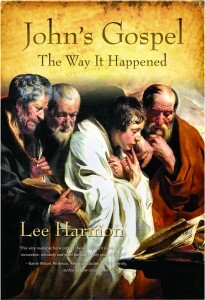 The other question is how far Lee’s technique helps the reader to relate the gospel to the issues of today’s world. It looks as if this will be the reader’s task. As Jesus said, “If you’ve got ears, use them”.